The Chalalan Lodge • Use the form below to contact us directly. Fill in the fields to check availability & reserve direct with The Chalalan Lodge. 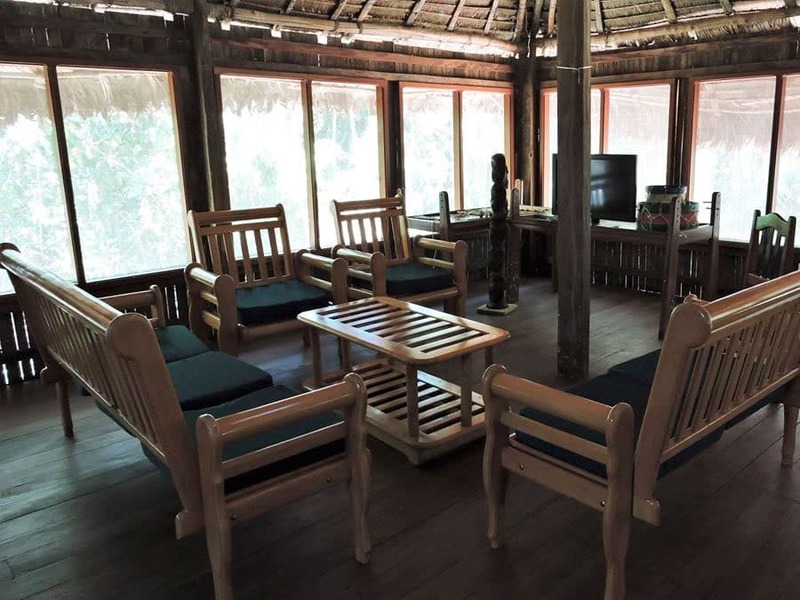 Chalalan Lodge is located right next to the beautiful Chalalan Lagoon and was built in the traditional style for the region. You will be warmly greeted and guided by members of the community of San José de Uchupiamonas, who own and manage the lodge. 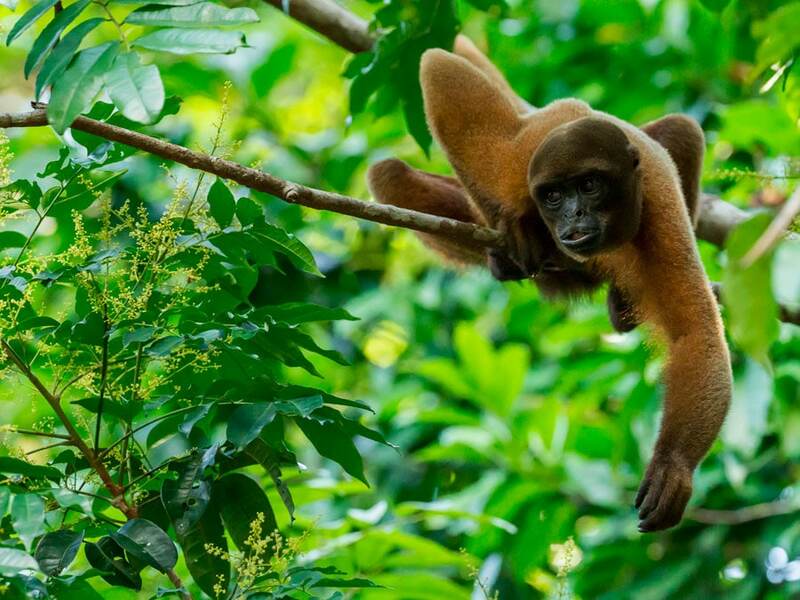 On our Chalalan Lodge Amazon tour, you will then be expertly guided into the Madidi National Park to see many different Amazon Rainforest animals and plants. 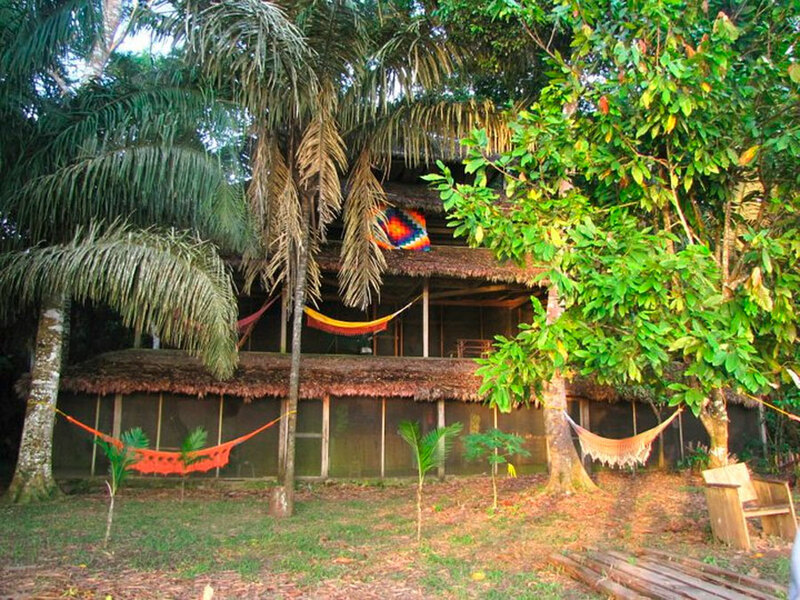 Welcome to Rurrenabaque in the Bolivia Amazon Rainforest. 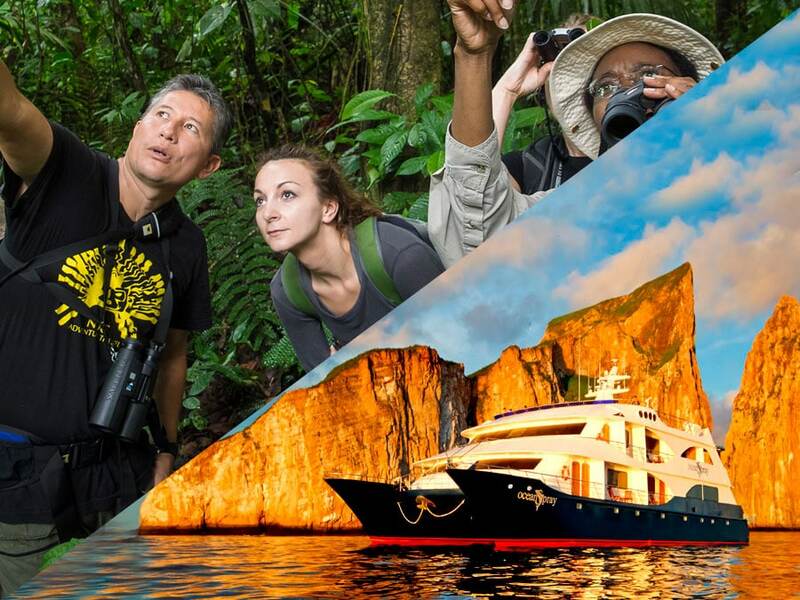 We will tour the Bolivian Amazon, one of the world’s most wildlife rich areas, where you can see colorful parrots, strange mammals that exist nowhere else on Earth and the world’s only social mustelids, the elegant Giant River Otters. This is your base for the incredible Madidi National Park. Bolivia is a tropical country in central South America and is landlocked between Brazil in the north and east, Chile in the south west, Peru in the west, and Argentina and Paraguay towards the south. 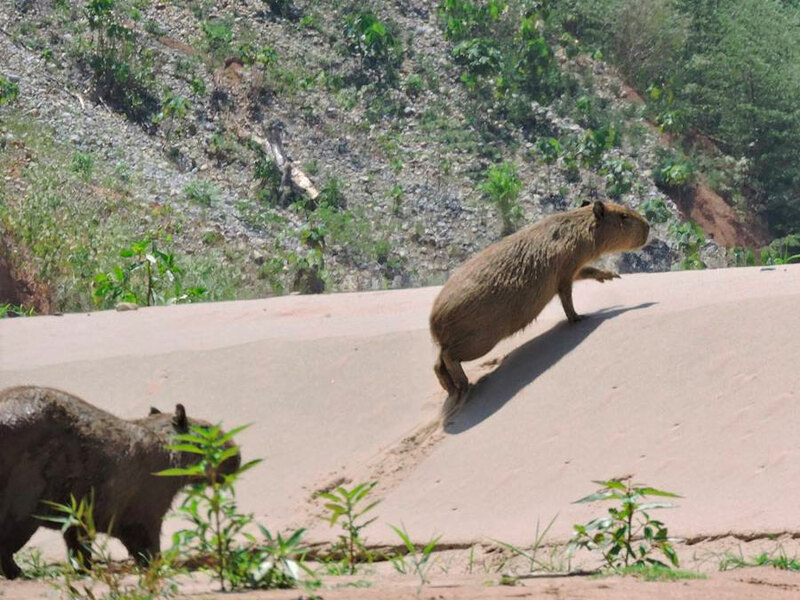 The Bolivian Amazon has a high diversity of animals and plants including Tapir, Jaguar and many different Monkeys. The country is home to incredible wildlife and is one of the most biodiverse places on Earth. This high level of biodiversity is linked to the forests and rainforests as about 50% of the country is forested, and a little over 10% of Bolivia is given some type of official protection. Half of the forest cover in Bolivia is primary forest, which means it hasn’t been cut down in recent history and left to regrow like in many other world areas. 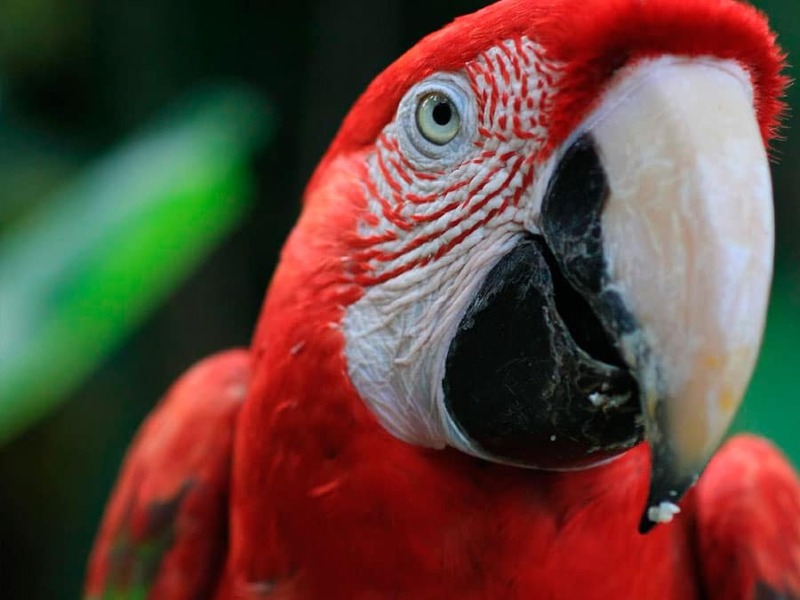 Unlike the northern Amazon, Bolivia is home to several clay licks where you can see Macaws and other Parrots feeding off clay to neutralize toxins in their food. These sites present guests with almost guaranteed wildlife sightings and exceptional photo opportunities. 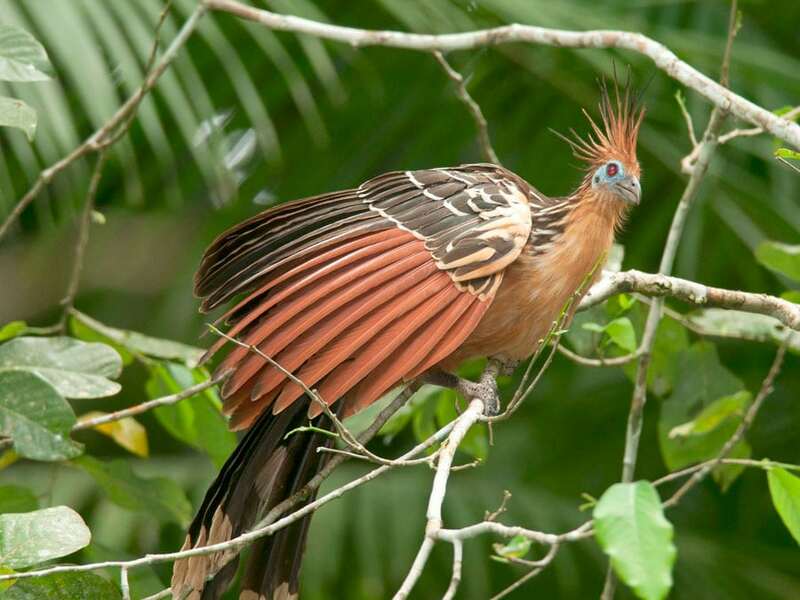 Located in northern Bolivia, Rurrenabaque is one of the entry points to the incredible Madidi National Park. 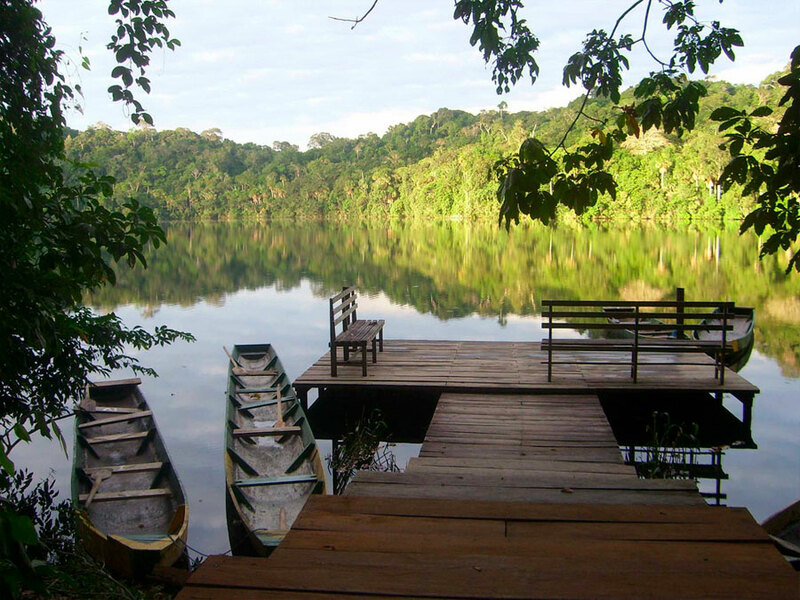 Rurrenabaque is a rainforest town and provides a base to experience the Bolivian Amazon Rainforest, one of the world’s most biodiverse areas. 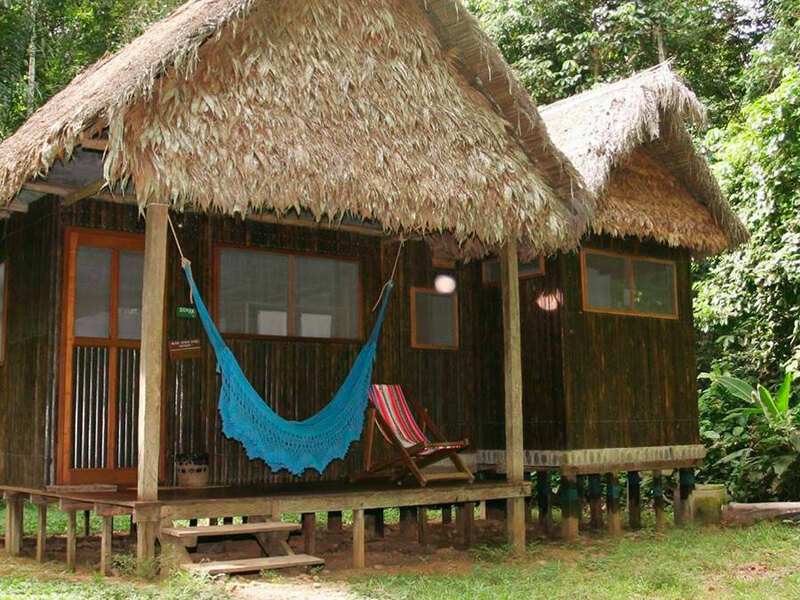 The traditionally styled Tacana cabins are surrounded by virgin Amazon rainforest where you will hear the sounds from Howler Monkeys, resonating through the forest, as well as the dawn chorus from many different birds. The lodge itself is composed of three different types of accommodation. There are the more luxurious cabins with cabins of double beds and private bathroom (7 in total) and twin rooms that have shared bathroom (4 in total). 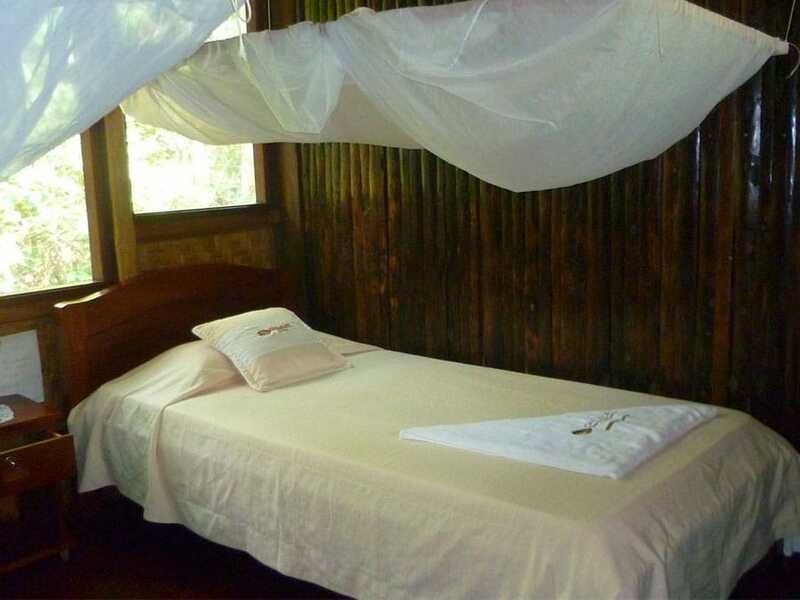 Features of all rooms include a mosquito net, bedside tables, wardrobes, comfortable armchairs, verandas, balconies and hammocks where you can relax and read. Cleanliness and hygiene is very important to our standard of practice and all bathrooms are unisex and cleaned regularly without causing disturbance. The bathrooms are either stone-clad or tiled to provide a touch of elegance in the jungle. For transport, we have three comfortable boats to take you to our lodge as we navigate the beautiful River Beni (Bala Canyon) and River Tuíchi. On your trip, we will provide you with your packed lunch so you don’t get hungry. The boats are equipped with a roof, comfortable seats, life jackets, raincoats and a first-aid kit, and each one seats up to ten people. 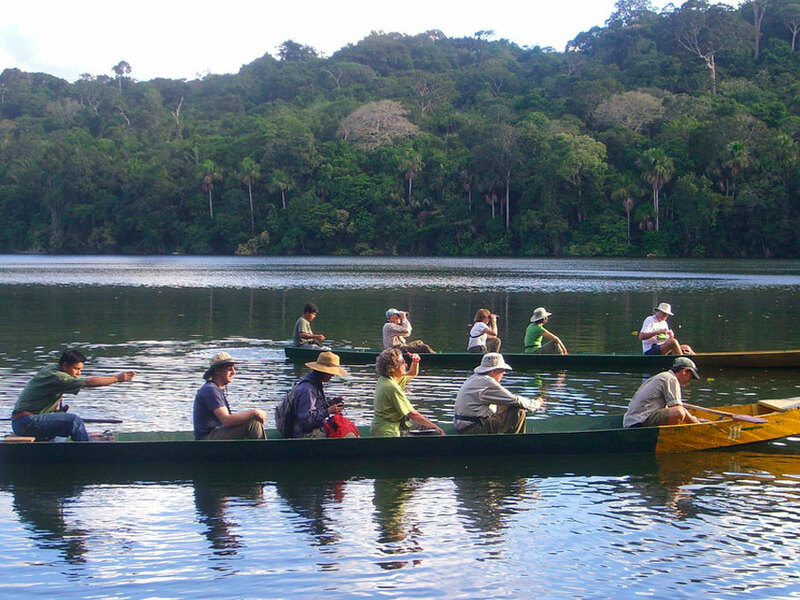 To get deeper into the forest, we have five traditional dug-out canoes made by our community’s artisans. These comfortably seat a maximum of 6 people are provide a fantastic way to see and experience the surrounding animals and plants. We pride ourselves on providing the highest quality of food available. To cater for different tastes and to provide an experience of the region, we prepare national, regional and international cuisine. Your meals will be accompanied with fruit juice and are prepared to a high standard of hygiene and quality. We can cater to special diets with prior notice. The dining room seats 40 people and we have a well stocked bar with both alcoholic and non-alcoholic drinks. 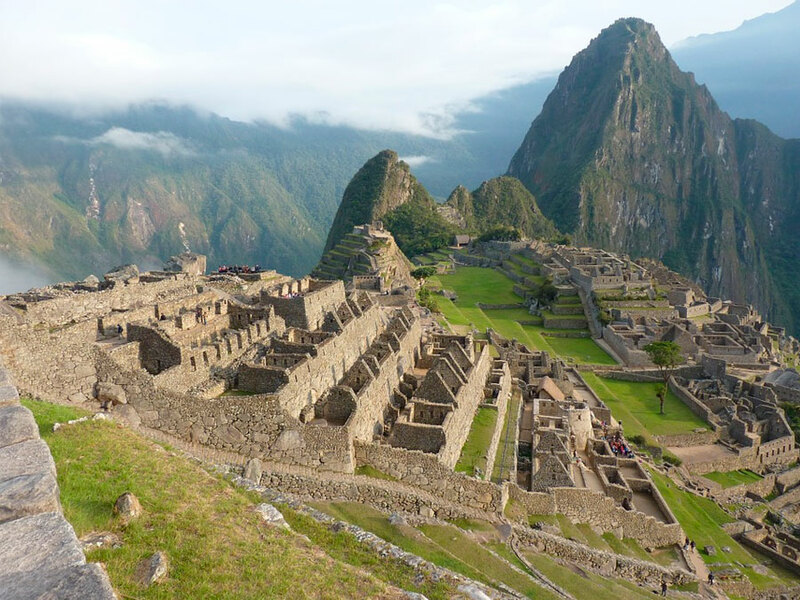 Friendliness and respect are embedded in the Quechua-Tacanan culture and are a priority for your experience. So far, we have been rated 'excellent' and 'very good' by 98% of our guests, however, we still aim for 100% satisfaction. Surrounding the Chalalán Ecolodge are a maze of themed trail winding over 30km through the rainforest, which have been meticulously designed to show off the forest, ecological processes, natural history, medicinal plants, hardwood trees, birds, mammals, amphibians, insects and a variety of fungi native to the tropical rainforest. All of our guests are given the opportunity to plan activities according to their interests with the help of a local guide. Each group contains a maximum of six people. We provide bilingual indigenous guides from the community of San José de Uchupiamonas. 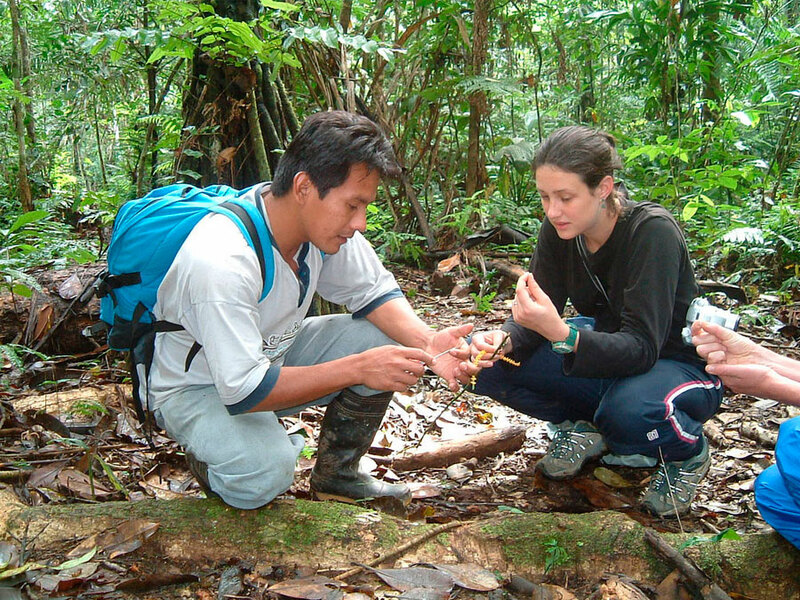 Our guides are professionally trained in environmental education, natural interpretation of the forest, ecological processes and natural history. They maintain their ancestral knowledge of medicinal plants and hardwood trees, animal behavior, myths and beliefs about the plants and animals and are excited to share their knowledge. Our local guides interpret the forest from their traditional knowledge and incorporate scientific knowledge into their descriptions and explanations. Our guides are specialists in plants, birds and insects and have gained further experience working at the Chalalán Lodge. Local guides give expert interpretation on various forest trails surrounding Chalalán Lodge. Each hike has a different theme and you will learn about medicinal plants, hardwood trees, observe the wildlife and experience primary forest. The area around Chalalán is ideal for learning about tropical rainforests. During your stay in Chalalán, you can hike the different trails with a local guide who will teach you about the forest using both his inherited knowledge and scientific knowledge. Chalalán is home to over 340 species of birds including parakeets, parrots, toucans, wild turkeys, woodpeckers, etc. Our guides can easily identify their calls and songs. 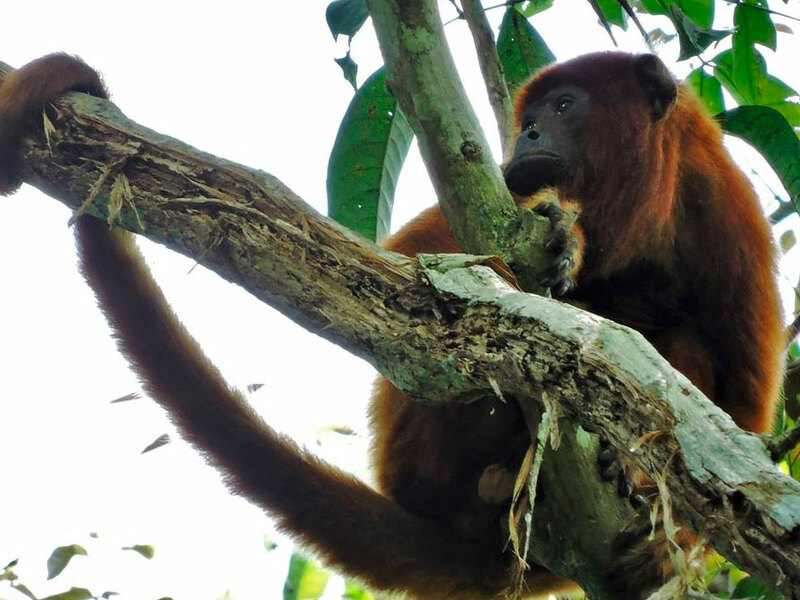 As you walk along the trails, especially those that are a little further from the Ecolodge, you will be able to see howler monkeys, spider monkeys, tapirs, deer, capybaras, frogs, lizards and maybe even a jaguar. At dusk the birds and monkeys come down to the shores of Chalalán to drink before going back into the canopy to look for insects. Once they have eaten they gather together in groups to spend the night in the branches of the largest trees. While gently paddling along the shores of the Chalalán Lagoon you can see nocturnal birds, amphibians and the glowing eyes of lack alligators. Equipped with a torch you can take a short hike at night to look for colorful frogs, mammals and insects that welcome in nightime with their unique chorus. On the last evening of your stay in Chalalán, you can try the traditional dunucuavi dinner and then enjoy a night of traditional music, dancing and storytelling. A guide will be with you to explain the traditions and customs of the people from San José de Uchupiamonas. After lunch you can look at local handicrafts and make your own necklaces or rings with the help of your guide. After lunch we recommend that you take a dip in the lake or simply relax in a hammock to read a book or listen to the sounds of the forest. The Madidi is a fabulous place to see a large variety of insects, which also make up the diet of most of the birds around Chalalán. There are many varieties of edible and poisonous fungi of all shapes, sizes and colors to be found in the Madidi tropical rainforest. Accommodation in traditional cabins at the Ecolodge.